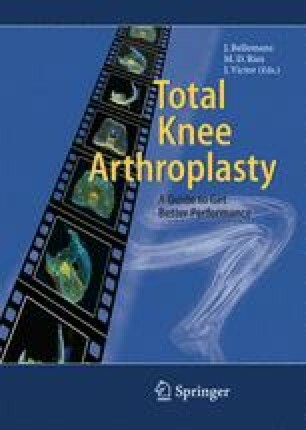 Bicruciate ligament retention in total knee arthroplasty has been evaluated since the earliest non-hinged implants were devised in the late 1960s. Retention of the anterior cruciate ligament may theoretically allow for better knee kinematics, improved proprioception, increased maximum flexion, and overall improvement in knee function. The decreased constraint that is permitted with the presence of both cruciate ligaments may decrease implant stresses and potentially improve the longevity of these implants. However, increased technical difficulty and inconclusive clinical benefit regarding ACL preservation have hindered enthusiasm for these designs in total knee arthroplasty. With ongoing critical review of historic and modern clinical studies,and with improvement in implant design,we in the field of orthopedics will anxiously await the ultimate fate of the anterior cruciate ligament in total knee arthroplasty.